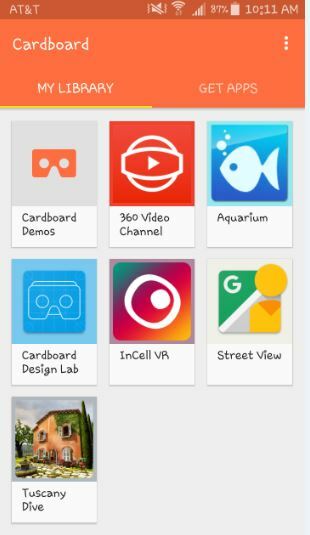 Google Cardboard has been around for a year or two. Until now, I followed the progress of Virtual Reality with great interest, but, had not yet played with VR of any kind, soooooo, I decided to give it a test drive! 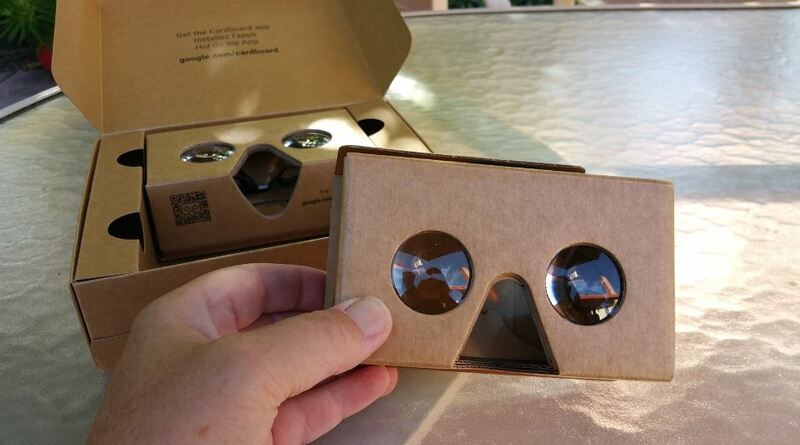 Not having a ton of money, I did a search for the Google Cardboard and bought two for about $30. Since I had very little expectations, $30 was not too much to lose. 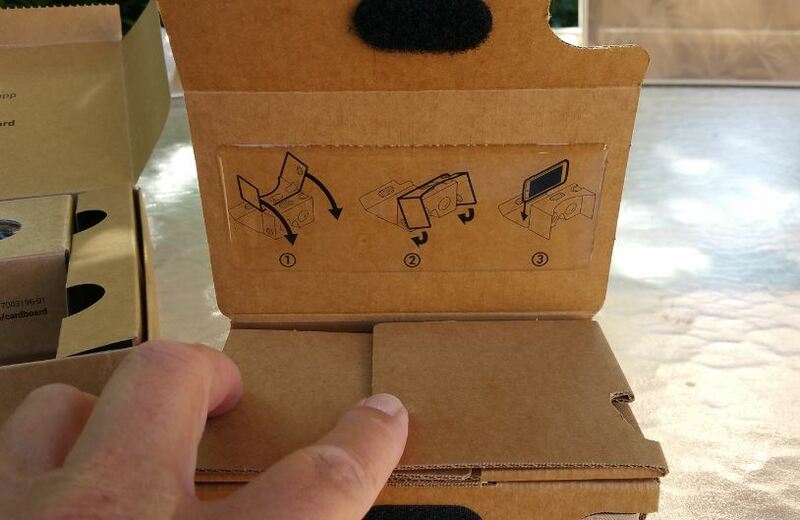 After opening the box, I followed the directions on the box to unfold the cardboard correctly. 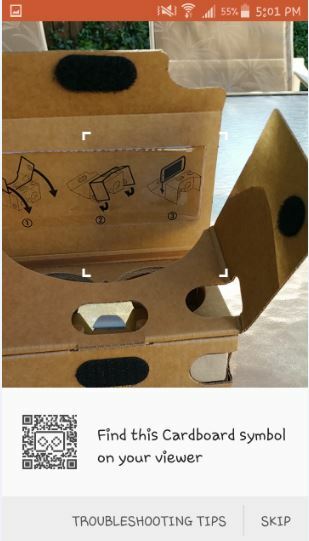 Then I tried to put my Galaxy Note 4 in the cardboard holder. Too big! I had to take off the phone’s case and it fit…..barely…..but it fit. Whew. 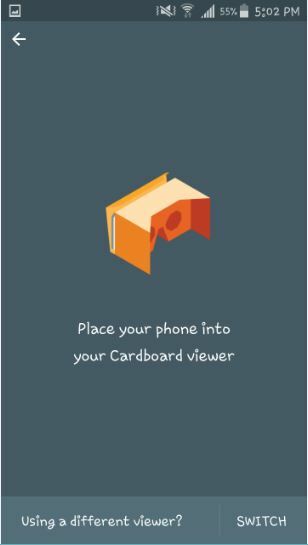 I downloaded the Google Cardboard app and opened it. Since I had not yet paired a pair of glasses to my phone, I got the following. 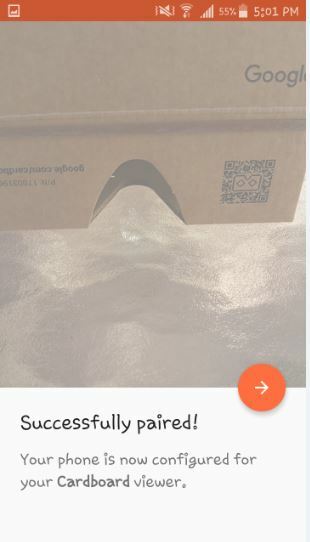 After opening and unfolding the cardboard glasses, I was asked to find the QR code to complete the pairing. I had to turn the cardboard around. The instant the phone saw the QR code…..I was paired. 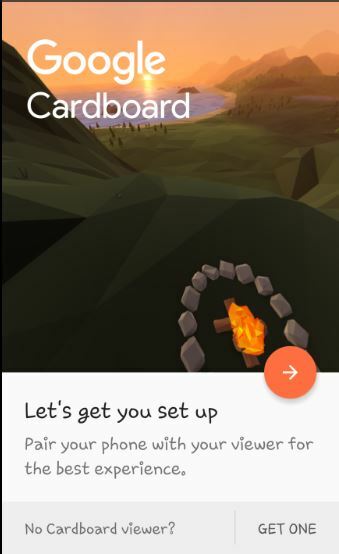 Then it showed me how to place my phone in the viewer. Minus the case…. 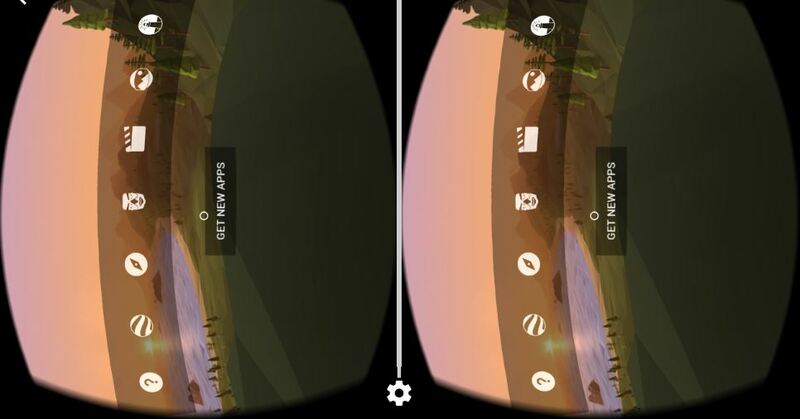 Once I did that correctly (there is a button on the viewer that needs to control the phone, so the phone has to be in the right way) this is what I saw. Ready to start! The first hour I started using it, I become so immersed that I walked right into the fireplace. Don’t walk! In fact, grab your office chair or another swivel chair and use it as your VR vehicle. 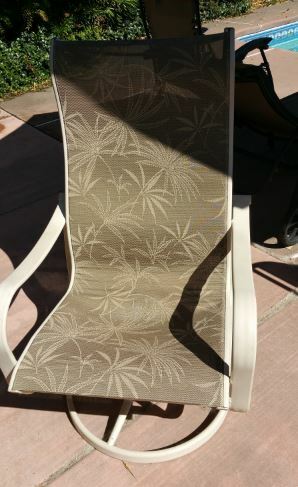 Outside, I use the chair shown. This allows you to spin all the way around…..safely! Although the initial set-up and practice is great, I downloaded a few more apps to play with. All of them are interesting and have the WOW! 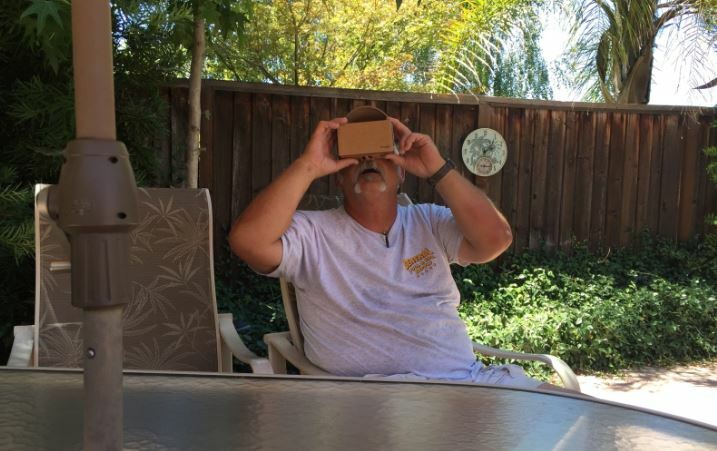 factor of Virtual Reality, but, so far my favorite is the Tuscany Dive: A small house on a hilltop property that you can walk around and in, go up the stairs, look out the windows, etc. Fantastic. Many of the apps are free, so I will grab more as time goes by. Oh, here is our friend Pat exclaiming WOW, OMG!! He was amazed. 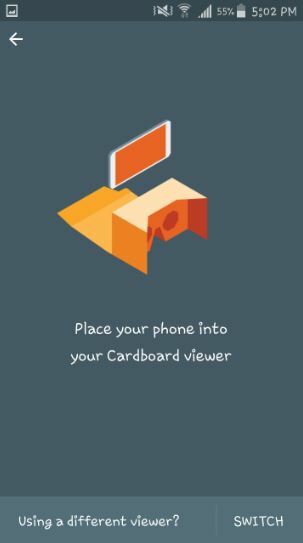 I love Google Cardboard and VR using my smartphone! What a terrific, engaging, technology that will only get better and better. I can’t wait to see the applications that evolve…..